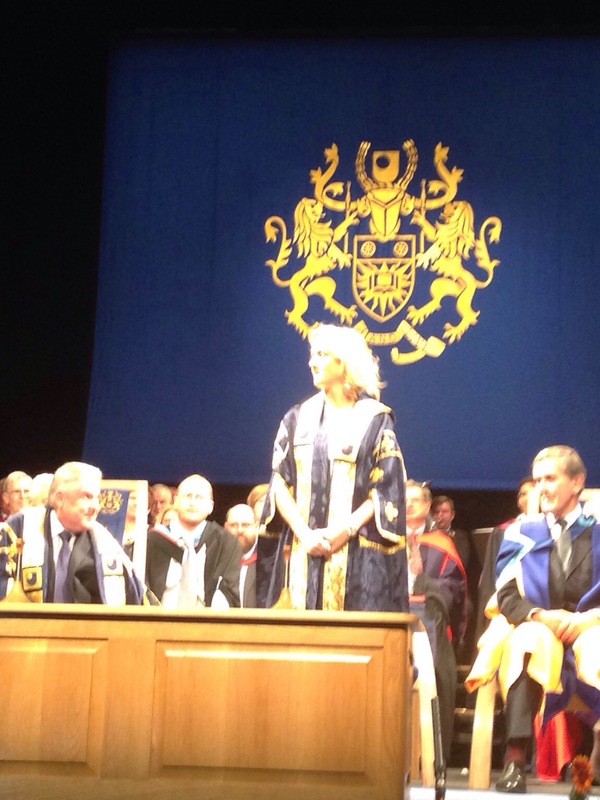 On 10th september I was “installed” as Chancellor of the Open University which is a strange phrase for what was a brilliant ceremony. I am so excited to take up the role. The OU is an inspiring and cherished UK institution. I mentioned Jennie Lee in my remarks on the day who was instrumental in ensuring the OU became a reality after the manifesto commitment in 1966. I met hundreds of graduates at the ceremony and although I was a novice, I think I managed to give everyone a certificate and got all the procedure right. The OU graduates are so impressive – most are working while studying and many are holding down two jobs. I met one woman who had completed a science degree and as I congratulated her she said that completing the degree had not been her big achievement. I asked why and she told me that she suffered from severe depression and leaving the house was the hard part but she had wanted to because she was so proud of her work. The values that I try to achieve in my work – inclusion, technological access and excellence are exactly those of the OU and that is why I am so delighted and privileged to take up the role.